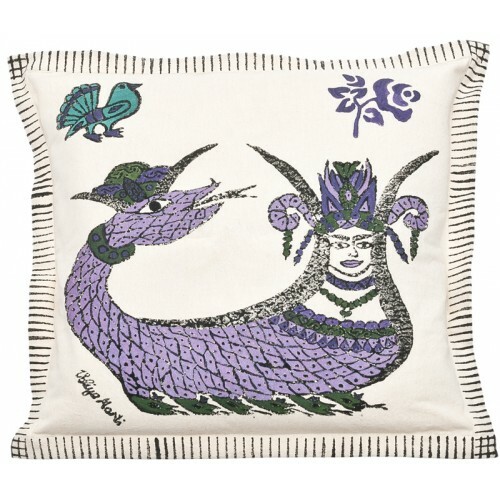 Sahmeran block printing pillow. 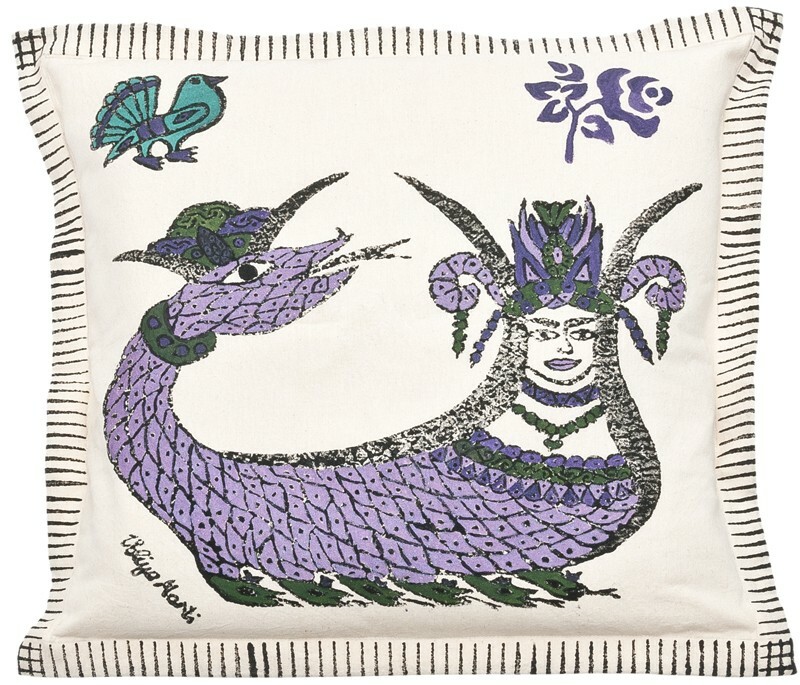 The pillow designed by the artist was applied traditional block printing dye and was hand printed. Encoloured by brushing. Having said: "Block printing is a journey which I started 20 years ago", Veliye Martı coincidentally got acquainted with Bedri Rahmi Eyüboğlu's workshop 20 years ago. Veliye Martı says: "My first master is Mehmet Eyüboğlu, who is the son of Bedri Rahmi Eyüboğlu. I started to deal with the art of block printing with the prints of Bedri Rahmi. Then, I moved to traditional block printing, went to Tokat and received a training for nearly three years. I work with all the old hands in Tokat. I blended the information I gathered from many artisans", and explains her style as follows: "I am trying to adapt the traditional block printing art for today. I have unique works apart from the traditional patterns". 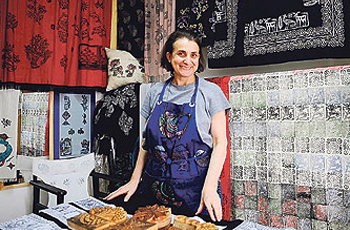 Veliye Martı continues to adapt the traditional block printing for today, opens courses and maintains the tradition in her workshop in Küçükayasofya.